Knowing where you are, who’s behind you, and who’s on the phone are all important things to a motorcyclist — well, we’re not so sure about the phone, but if you must … here are some gadgets to make your life just a little busier and more informed. 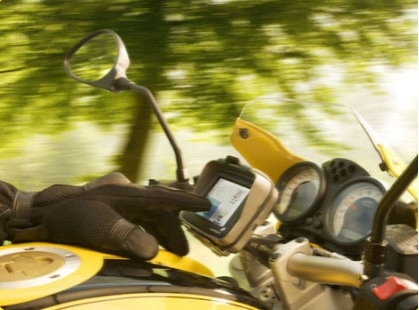 The TomTom Rider is a GPS unit designed specifically for motorcycles, with improved shock and vibration resistance, a touchscreen with large, glove-friendly icons, and most importantly, waterproof construction. Maps of Canada and the U.S., real-time weather information, locations of eateries and other points of interest, and a bluetooth link to your in-helmet headset make the TomTom a very usable addition to your collection of knavigational knick-knacks. We’re told that it’s available in Canada for around $700. More info at www.tomtom.com. Here’s a little device that might be of use to motorcyclists — if it’s ever mass produced. 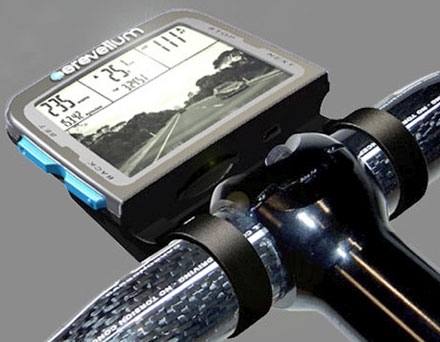 The Cerevellum bicycle rearview monitor displays a rearview image on a 3.5 inch screen that’s affixed to the handlebar of a bicycle, or some useful location on a motorcycle, using a rearward-facing camera. As well, the screen could be made to display GPS and other info. The price will be around $200 – $300 US, but the Cerevellum website is very secretive about the product at the moment. Check out www.cerevellum.com and see (nothing) for yourself! Okay — you can always do a shoulder check, and you shouldn’t rely on techno-gadgetry to keep you from swerving into the path of a big honkin’ four-wheeler, but when you’re loaded up with cold weather gear, even turning your head can be difficult at times. while staring stupidly into their little screens. 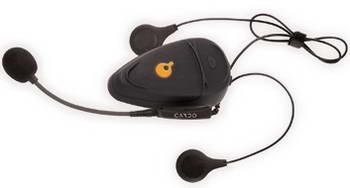 The Scala Rider Q2 headset is a mobile communications device equipped with Bluetooth technology, so you can use your cell phone by voice command while riding, receive audio GPS information, listen to FM radio, and even talk, as with a bike-to-bike intercom, to other Q2-equipped riders within 500 m of your position. Price is about $220 US. See cardowireless.com for info. Hi I hope you are fine there. I am also fine here. Gadgets make life easier. More gadgets = less attention to the road.